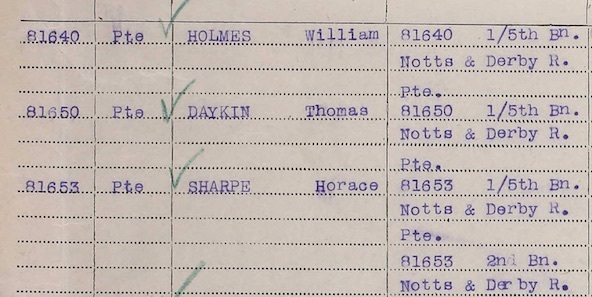 81640 Pte William Holmes was one of several men posted the the 1/5th Battalion. He was the husband of Ellen Holmes, of Loscoe Rd., Loscoe, nr. Codnor, Derbyshire. This entry was posted in Casualties and tagged 81640 Pte William Holmes on September 18, 2017 by mikebriggs1910.